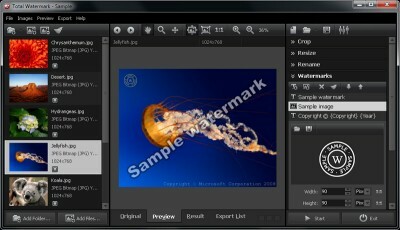 With this watermark software, you can quickly protect or sign your photos or images. Posting a copyright message or your logo on your proprietary work makes it literally impossible to use your handiwork illegally. 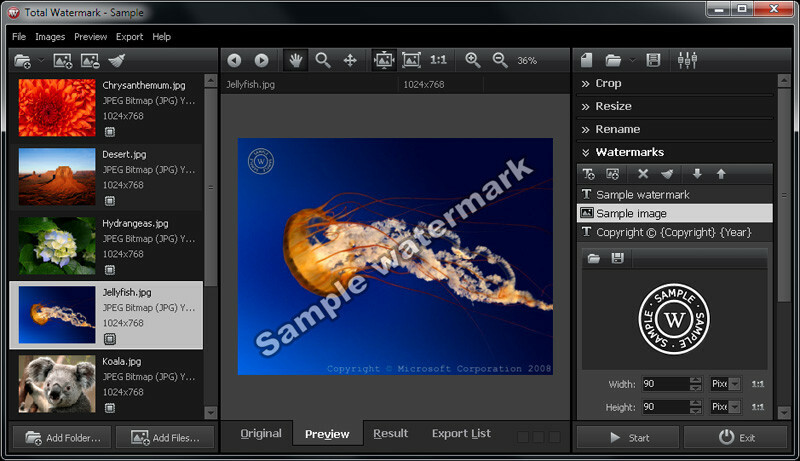 Total Watermark software allows adding a wide range of effects like shade, translucency, gradients, contours, and others to them. Our watermark software's intuitive user interface makes it suitable to both amateurs and professionals.